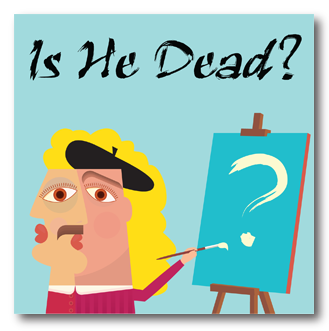 Director Beth Hughes-Brown is pleased and excited to announce the cast for the spring comedy production of Is He Dead? adapted by David Ives based on the play by Mark Twain. Beth would like to thank all the talented actors who auditioned for this production and made her task of casting the show a most pleasant challenge. The cast includes some Providence Players favorites, some returning actresses and actors not seen on PPF’s stage in some time, and some marvelous newcomers to the Providence Players stage. The production runs from May 31 to June 15. Click here to find more info on the production. Congrats to Beth and her wonderful cast. It’s gonna be a hoot!!! Can’t wait! To one and all “Break a Leg”. Congratulations to a great cast. I know the show will be superb, and I look forward to seeing it.